August in Colorado is synonymous with locally grown peaches, melons, corn, and more. But the sad truth is that for most of the year, we don’t actually know where the majority of the food in our grocery stores comes from. That disconnect between farmer and consumer inspired first-time filmmakers Tomas Zuccareno and Haley Thompson to create How We Grow, a visually gorgeous documentary filmed within 15 miles of Carbondale. 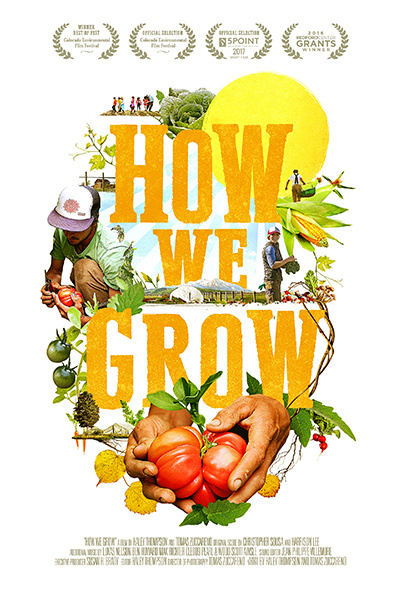 The 65-minute film focuses on millennial farmers and the innovative food systems in the Roaring Fork Valley that help remove barriers that prevent young people from getting involved with agriculture. Why the focus on younger folks? The average American farmer is 58 years old and quickly approaching retirement...Carbondale has enacted initiatives to bolster young, small-scale farmers (also known as micro-farmers), who are usually working on less than five acres of land. One example: Since new farmers can have a tough time getting approval for bank loans, the community pooled their resources and created its own fund, which is available exclusively to local farmers. Once paid back, the money is then loaned out to other farmers. By highlighting these efforts, Zuccareno and Thompson hope to set an example for other communities.